We Specialize in Veterans real estate and the VA home buying process can be summed up in just 8 simple steps. Press the “Get Started” button, fill out the online form and press “Submit.” We are not checking your credit, just getting some basic information from you to start the process. USVA Realty is a free service available to all US Veterans and active duty US Military servicemen and women. The first step in the process is to click on the “Get Started” button and fill out the form. You will then be contacted by a VA specialist from USVA Realty. If you need help getting pre-approved we will send the information we obtain from you to a VA approved lender and they will contact you to start the VA loan process. Once you are pre-approved we will place you with a USVA Realtor that is a VA preferred Realtor in your area of Texas. The VA Realtor will call you and make an appointment to show you homes. Go look at houses with your Realtor. Look at homes until you find one you want to buy. Make an offer! If your offer is accepted by the seller, the lender will have you complete a formal loan application. At this point you will need to have your paystubs and bank statements available. The lender will order the VA appraisal. The appraisal is not a home inspection but an estimate of the home’s value based on other homes that have sold recently in nearby areas. Your lender will look at the appraisal and all the information you provided in your formal application and make a decision whether or not to grant the loan. Finally it’s closing day and this usually happens at a title company or an attorney’s office. At this point the lender transfers the money to the seller of the house and the seller transfers the ownership (Title) to you. Your Realtor will help you with closing times and places. 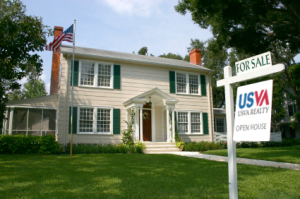 Remember, your USVA REALTOR and Loan Officer are both experts with the VA Home Purchase process so don’t be afraid to ask them any questions.